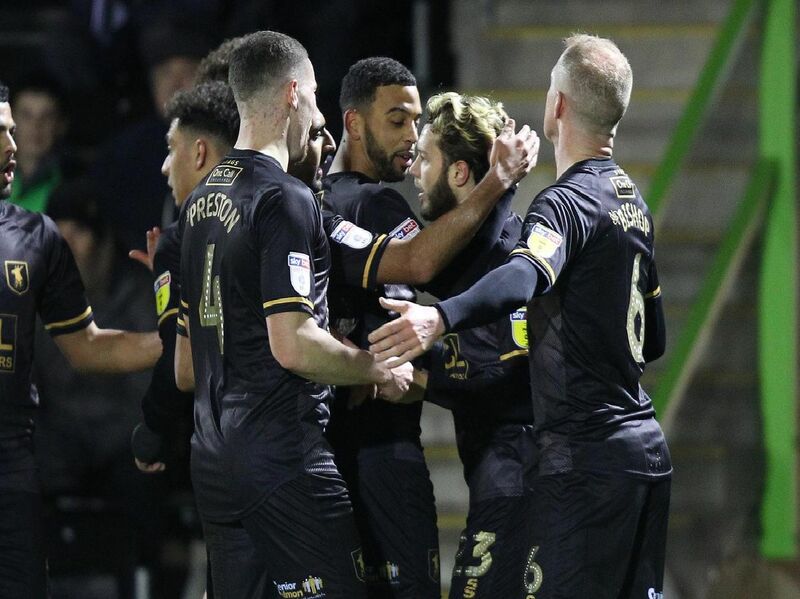 Mansfield Town secured a hard-earned point at promotion rivals Forest Green Rovers with a 1-1 draw at the New Lawn last night. Jorge Grant fired the Stags ahead with his third goal in two matches, but Rovers salvaged a point thanks to Rueben Reid's equaliser - here is a selection of the best of the night's action photographs. Stags boss David Flitcroft before the game at the New Lawn. Mansfield players appeal to referee Christopher Sarginson for a penalty after Nicky Ajose and Jorge Grant are felled in quick succession.